on Wednesday April 17th at 6:00 p.m.
Moderator: J.H.H. 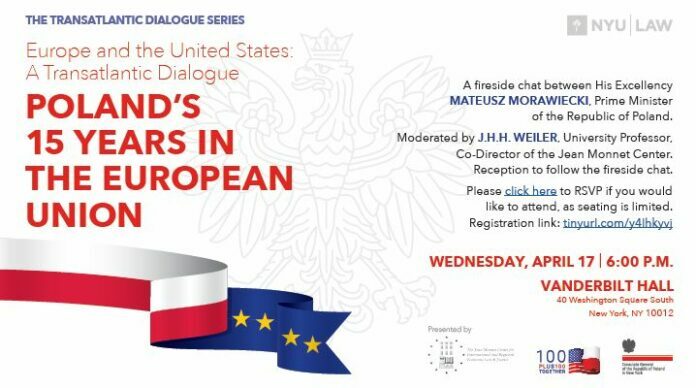 Weiler, University Professor and Co-Director of The Jean Monnet Center. A reception will follow the fireside chat. Venue: Greenberg Lounge, Vanderbilt Hall, NYU School of Law 40 Washington Square South, New York, NY 10012. Kindly note that registration is required to attend the lecture and reception. 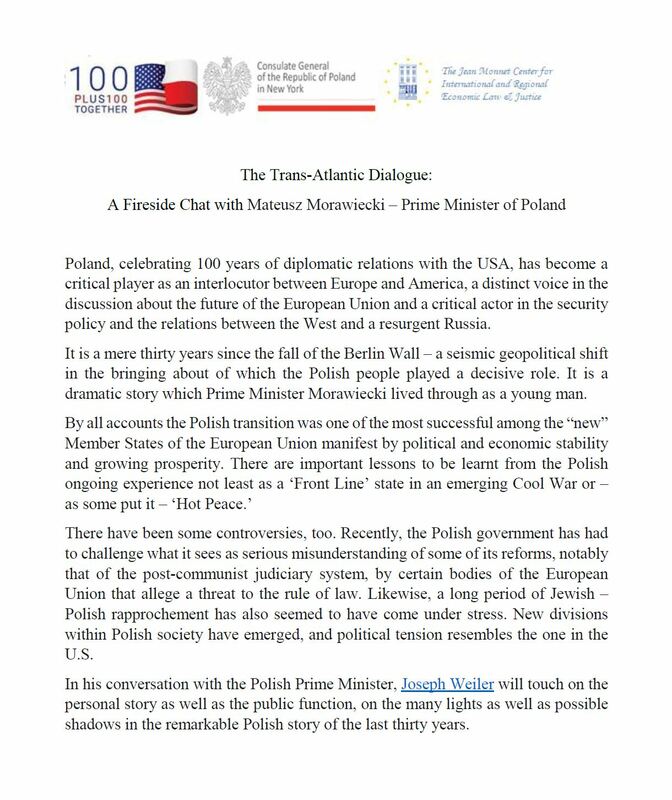 To learn more about the Transatlantic Dialogue series, please click here.